One should not be discriminated against when it comes to wearing a pair of slippers, and the same can be said for Yoda. He might be short in stature, but he sure as heck is a giant in the world of Jedis, being a Master Jedi himself on the High Council. Of course, with his age and all, he should not be walking around barefooted since the chill might creep into his body, so getting around in his $24.99 Yoda Slippers would make plenty of sense. 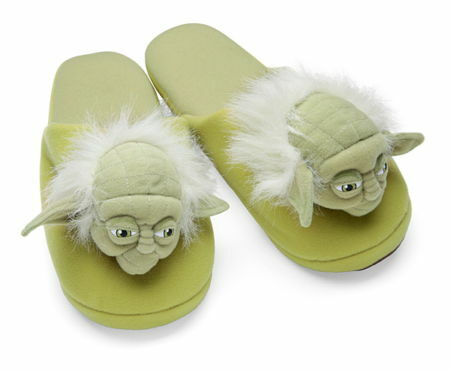 One thing is for sure though, he would not like it too much if you were to slip on a pair of these Yoda Slippers and actually take a walk down the path of the Dark Side of the Force.